Origins is considered to be well known ready to wear brand in Pakistan. It was founded in 2010. Within the period of 2 to 3 years, this brand has gained huge popularity and positive response. Today, it is the most popular brand for Pakistani women. It provides ready to wear clothes for women. Every few weeks, Origins releases its new and unique designs in the form of collections. The main product lines of Origins are formal wear, casual wear, party wear. As we know that Eid Ul Azha is coming in next few weeks so almost every clothing brand is showcasing its collections. Recently, Origins launched its latest and exclusive Eid ul Azha collection 2013 for women. This Eid ul Azha collection 2013 includes casual wear clothes for women. 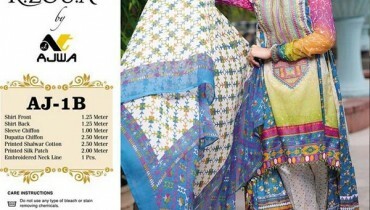 This Eid collection 2013 has new and unique printed designs. It is available in ready to wear form. Origins Eid ul Azha collection 2013 has long shirts with tights, trousers and churidaar pajamas. All the long shirts are stylish and elegant. If we talk about colors then Origins used dark colors like red, blue, yellow etc. 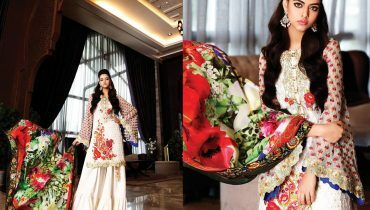 The cuts of these Eid dresses are stylish and elegant. This Eid ul Azha collection 2013 was released in the form of photo shoot. The feature model is Amna Ilyas. Few pictures of Origins Eid ul Azha collection 2013 for women are given below. So if you have limited time and you want to buy ready to wear dress then don’t worry and simply check out Origins Eid collection 2013. This exclusive Eid collection 2013 is available in all the stores of Origins. The stores are located in major cities of Pakistan. You can see the few pictures of this collection. 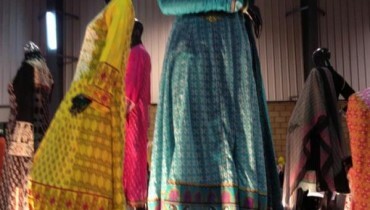 If you want to know the prices of these dresses then don’t worry and visit its facebook fan page. The address is mentioned below.